Once again leaders of organised religion show they consider themselves first. via Vatican calls Irish referendum a ‘defeat for humanity’. This is the attitude rejected by 62% of the Irish voters. Well done them. 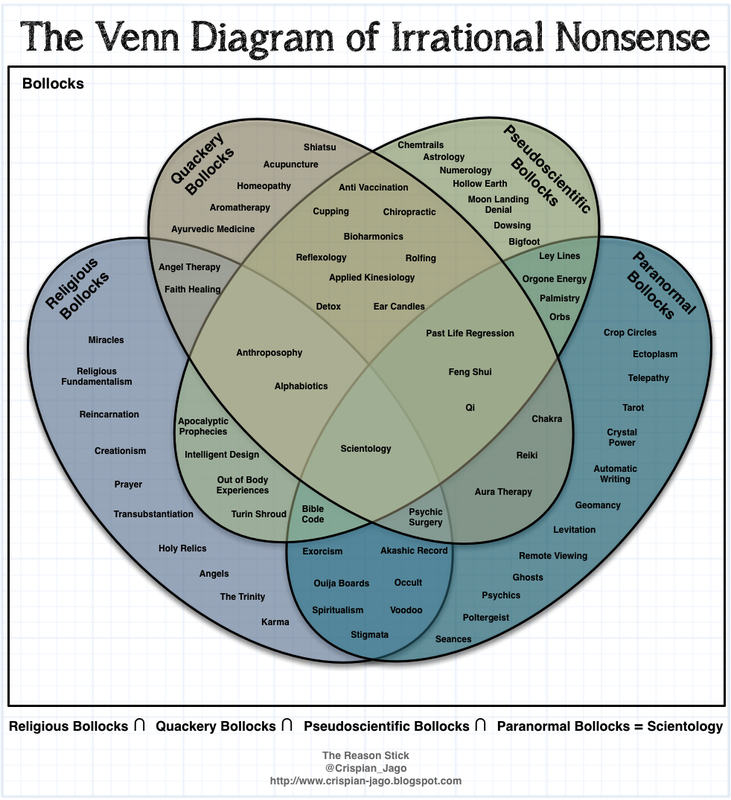 via The Reason Stick: The Venn Diagram of Irrational Nonsense. H/T to AB for bringing this to my attention. Do visit the original site as there’s more fun. My colleague is forced to go to Mass by the UK courts | A Tippling Philosopher. A blog post by Stephen Law appeared in my news feed this morning: Humanists Should be Christians, argues new Theos report. He discusses a recent report from Theos, a religious thinktank: The Case for Christian Humanism: Why Christians should believe in humanism, and humanists in Christianity.